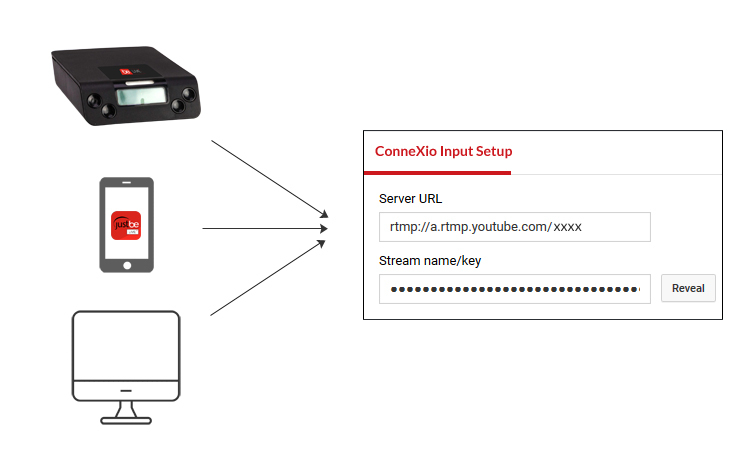 ConneXio supports RTMP ingest, which guarantees reliable transmission for no loss of frame. 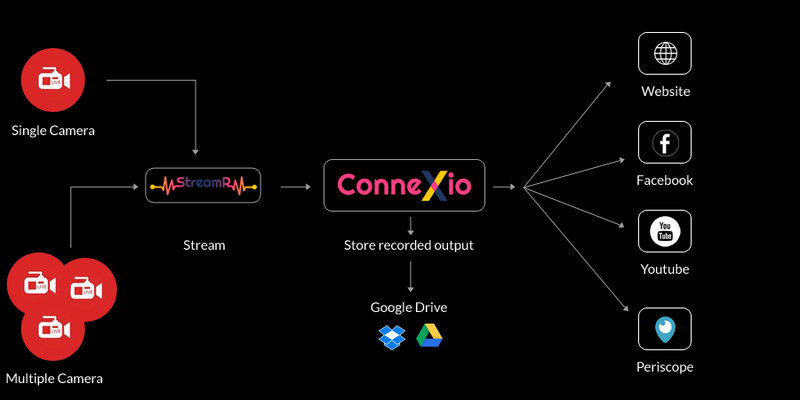 You can Desktop, Encoder or any Mobile to stream on ConneXio. 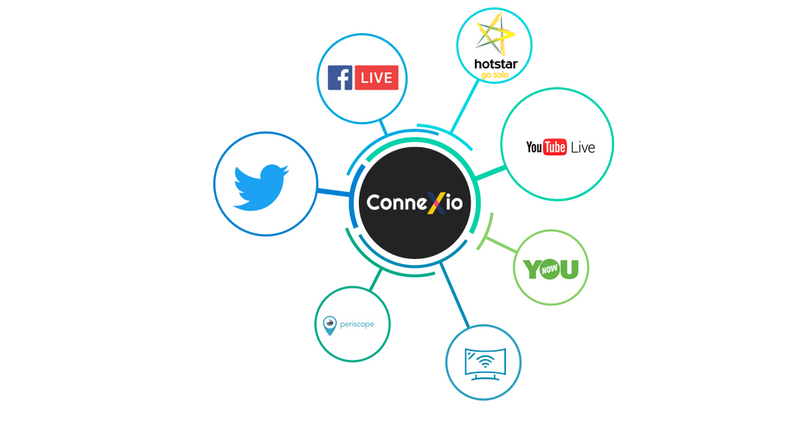 ConneXio accepts single stream as input into the platform and can be delivered to YouTube live, Periscope, Twitch, Hotstar, YouNow, Ustream. 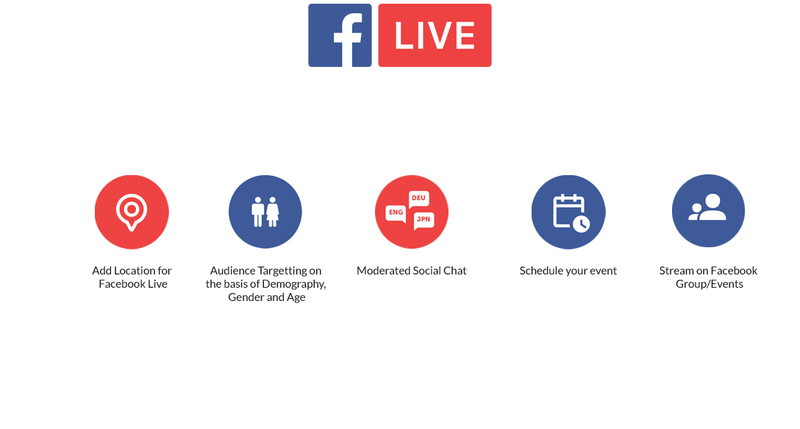 Content creators can also stream from ConneXio to BeLIVE and Facebook Live simultaneously. Manage broadcast within a browser. Stream production quality stream with option to switch streams, insert brand logo, countdown, time, ticker or any mid event video. Add moderated social comments, tweets or polls with data visualization. ConneXio is integrated with all social and third party publishers which provides you complete integrated analytics for your viewers and content. You get user behavioural, retention engagement and comptetive analysis at one point. We understand your needs and therefore our live solution helps you increase traffic from across the web. Now you can brand your content with custom player logo and Video Destination API to create your own youtube like Video destination.